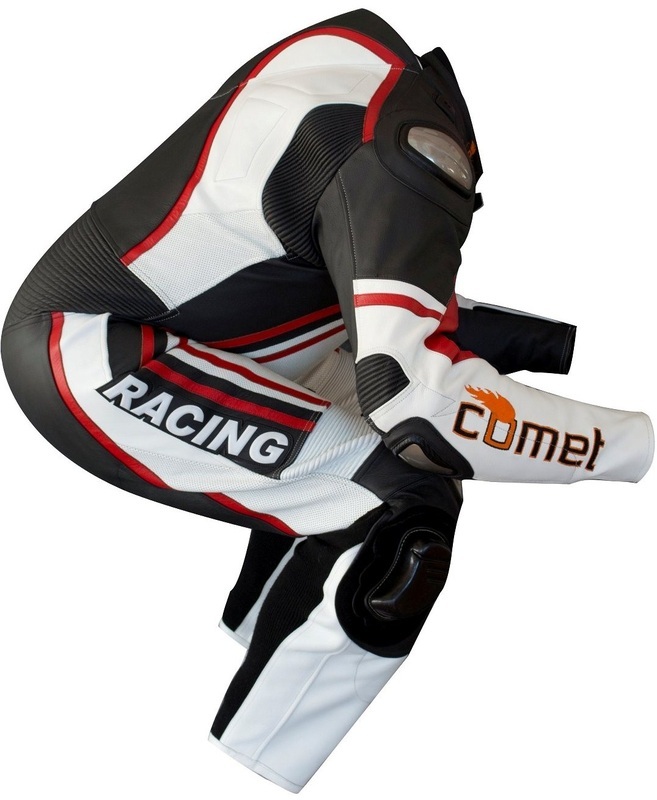 The Comet Elite Pro CKR- 1 leather Motorcycle Racing suit is constructed of the finest premium drum dried Cowhide 1.3 mm or Kangaroo 1.1 mm leather. 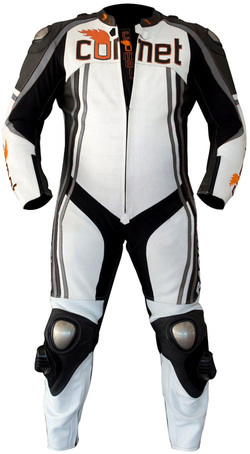 Tailor your suit exactly to your body foronly 10% more! 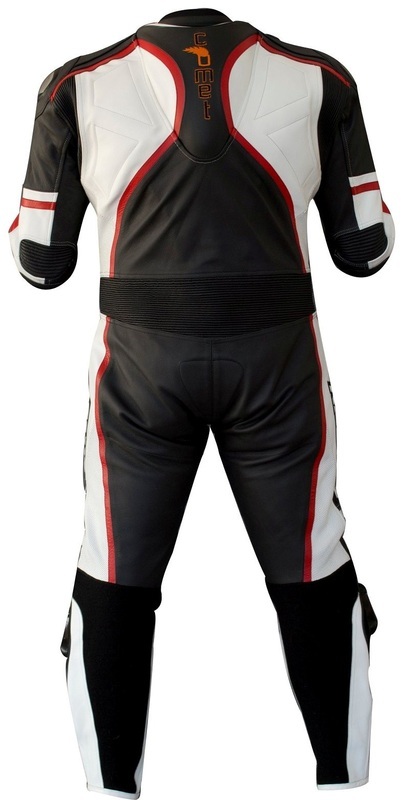 Comet Elite One Piece Leather Motorcycle Racing Suit will be Customed white front and back .